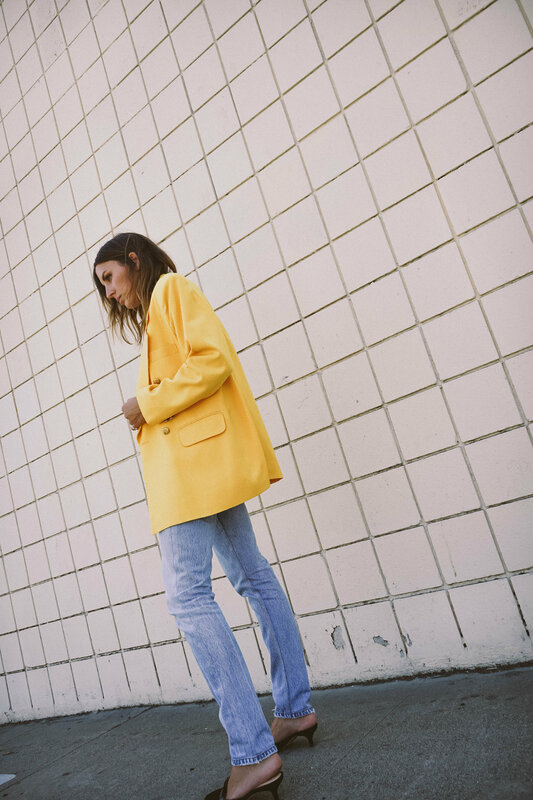 Keeping with the vintage trend, I found both these jeans and this yellow blazer on one of my favorite vintage sources, Depop. If you haven't used Depop, it is a bit like the hipster, vintage version of Poshmark and a great place to go for fun statement pieces. I also scored these perfect-fitting Levis by Re/done for $30, which is just unheard of!